If you’ve made the substantial purchase of a walk-in tub, you’ll want to make sure it remains in working order for years to come. 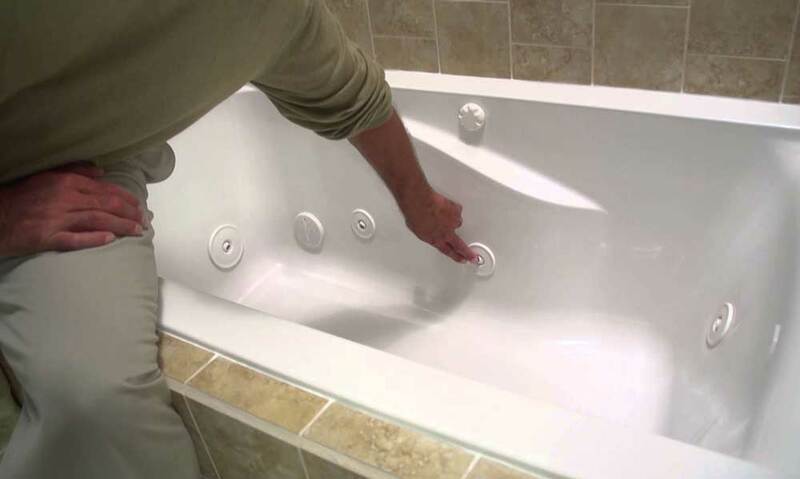 This guide explains the best way to care for walk-in tubs, including how to clean one, and what to avoid, so you don’t damage the surface or mechanicals. If your tub was just installed, the manufacturer probably included some cleaner samples. You can use those for the first cleaning after installation, and then you will need to buy cleaners to have on hand. Your tub is likely constructed of acrylic and gelcoat over fiberglass, and while both surfaces can scratch, you need to take extra care with gelcoat because it is a coating that’s tough but is easier to damage. 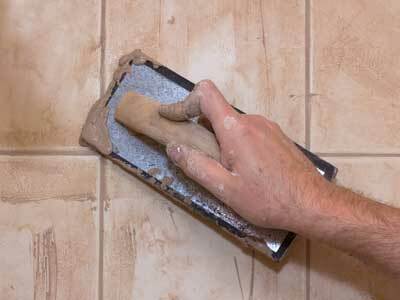 You can use a nonabrasive fiberglass cleaner on either surface. Never expose an acrylic tub to water temperatures exceeding 167 degrees Fahrenheit, which can soften the acrylic resulting in loss of shape. Check the temperature from your water heater before filling your walk-in tub for cleaning. Before you use your walk-in tub for the first time, it’s best to remove any dust and residue that may be on the tub surface from the installation. Use a solution of half white vinegar and warm water in a spray bottle, then spray down the exterior of the tub. Wipe the surface with a damp cloth after you spray, then use the shower sprayer to rinse and buff dry with a microfiber or other soft cloth. To clean the interior of the tub, grab your vinegar solution, cleaning cloth and a dry towel or cloth. Take off your shoes, step into the tub and close the door. Take a seat and spray down the interior surfaces in front of you, then wipe with a damp cloth and buff dry. Take care to dry the floor of the tub thoroughly because you have to stand on it to clean the other half of the tub with the seat using the same procedure. Step out of the tub and use the shower wand to give your walk-in tub a good rinsing. If you have a walk-in tub with whirlpool or air jets, you need to flush the pump and pipes before you use it the first time. Fill the tub with hot water until the water is two to three inches about the jets. Add a jet system cleaner such as one of those mentioned above. Turn the air controls off, then run the jets for 10 minutes. Drain the tub, then rinse any residue from the sides and floor. Fill the tub again with cool water and run the jets, again without air, for 15 minutes. Drain the water, then rinse the sides and floor again. Each time you use your walk-in tub, be sure to clean the walls and floor of soap, oils, shampoo and any other residue. At a minimum, turn the water to warm and use the shower wand to thoroughly rinse the interior of the tub and its fixtures. To prevent a build up of scum on the walls of the tub, spray the interior well with vinegar and water or a spray bathtub cleaner, then rinse again. Remember to clean off the seat, handrails and any other safety features. Bacteria need moisture to grow so after you bathe, open a bathroom window for an hour when the weather allows the humidity in the room to decrease. Using a small circulating fan for a couple of hours in the bathroom helps to reduce moisture when the weather isn’t cooperating. Jetted walk-in tubs need to have the pipes, motor and jets cleaned either monthly or every other week. Do a deep cleaning using one of our recommended products or something similar once a month if you use your tub lightly or don’t add anything to the bath water. Clean thoroughly every other week if you use your tub daily or add anything to the water, like oils or bath salts. If you have been cleaning the tub after each use with a gentle cleaner or vinegar, chances are the tub itself needs nothing more than a quick wipe down on the exterior. If some residue build-up is present on the interior, use one of our recommended surface cleaners or a similar product. Use a microfiber cloth to wipe away the residue and rinse thoroughly. If you are in the process of purchasing a walk-in tub, keep an eye out for new technologies that help to keep the tub clean, protecting health and hygiene. It’s something most people might not think about beyond wiping the interior of the walk-in tub down, but it’s important to keep all working parts clean and free of bacteria, mildew and mold. Using these tips will make sure your walk-in tub stays clean after multiple uses.